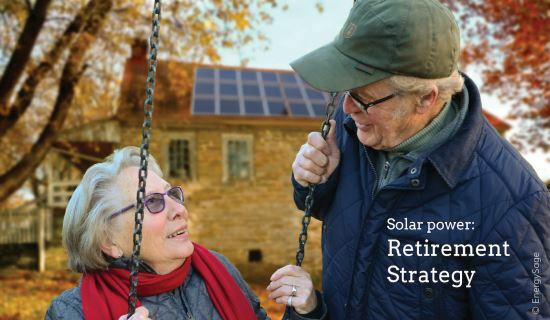 Establishing a secure financial future for your retirement requires that you explore a variety of options, but most homeowners don’t realize that installing a solar panel system can be one of the smartest retirement investment options available. By viewing a home solar panel system as an investment opportunity, homeowners can reduce or even eliminate their electricity bills, freeing up more than $1,000 in cash each year. With the increased availability of $0-down solar loans, homeowners that lack the cash required for an upfront purchase can still take advantage of solar as a retirement investment strategy. This entry was posted in Financing, Installation, Nebraska / Midwest News, NewsBlog and tagged cost of solar energy in Nebraska, Mother Earth News, Nebraskans for Solar events, Vikram Aggarwal on January 1, 2016 by Helen Deffenbacher.